Ta çheb goll er yannoo dy gheddyn staydys Eiraght y Teihll son jees jeh ny shillaghyn smoo scanshoil ayns Mannin.Dy beagh y çheb speeideilagh, veagh enney er Cronk Tinvaal as Queeyl Laksaa myr ynnydyn lesh bree cultooroil ny corpagh er lheh. Dy chosney yn staydys shoh, shegin da ny h-ynnydyn Manninagh cooilleeney conaantyn ennagh, myr t’eh screeut sheese ec Reagheydys Ynsee, Sheanse as Cultoor ny h-Ashoonyn Unnaneysit (RYSCAU). Ta hoght cheead, kiare feed as jeih ynnydyn Eiraght y Teihll RYSCAU ayns keead, hoght as daeed çheer. Dy jinnagh fer jeh ny h-ynnydyn Manninagh roshtyn y list, ragh eh marish y lhied jeh Uluru ayns thalloo fadaneagh yn Austrail, yn Acropolis ayns Athens, as Sthowran y Teyrsnys ayns New York. Fo chonaantyn ennagh, ta argid ry gheddyn veih Tashtey Eiraght y Teihll son ynnydyn listit. A bid is being made to get World Heritage status for two of the Isle of Man’s most iconic landmarks. 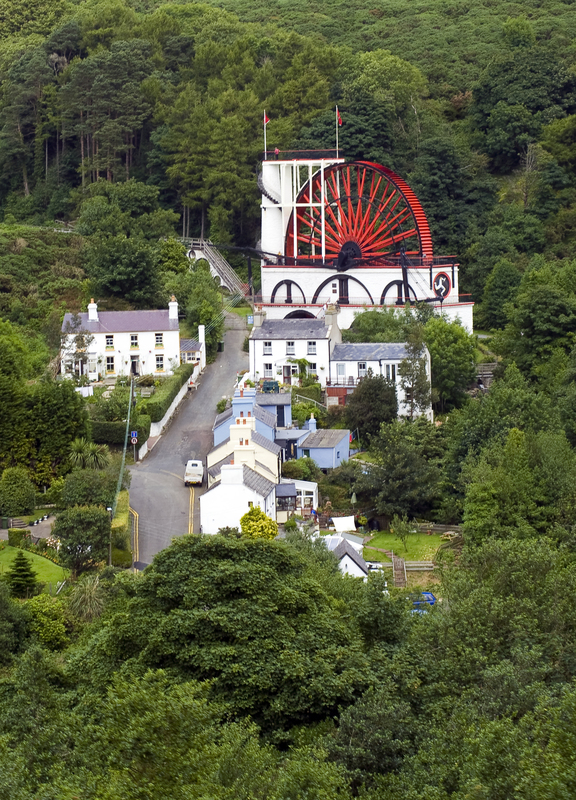 If it was granted, Tynwald Hill and the Laxey Wheel would be recognised as places of special cultural or physical significance. To have the status conferred, the Manx sites must fulfil certain criteria, as laid down by the United Nations Educational, Scientific and Cultural Organisation (UNESCO). There are 890 UNESCO World Heritage Sites located in 148 countries, and if either of the Manx monuments made the list they would join the likes of Uluru in the Australian Outback, the Acropolis in Athens and the Statue of Liberty in New York.